So, what's on the plate? 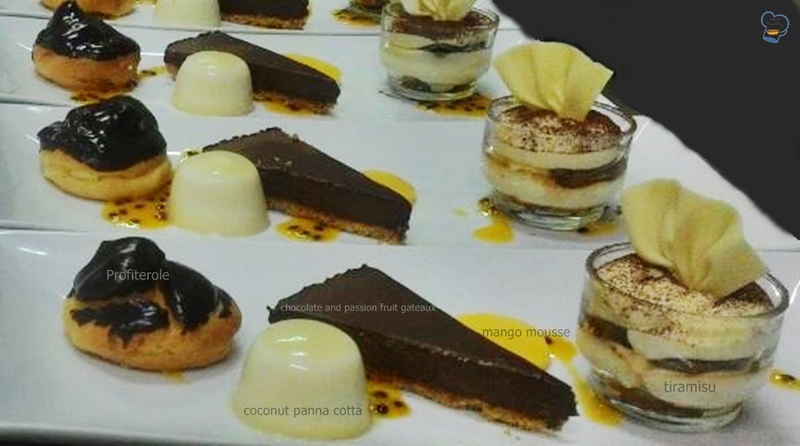 A profiterole filled with whipped cream, coconut panna cotta, chocolate and passion fruit tart with passion fruit coulis, creamy mango mousse spiked with mint and mini tiramisu dessert in a glass. That's a lot of flavors to explore! 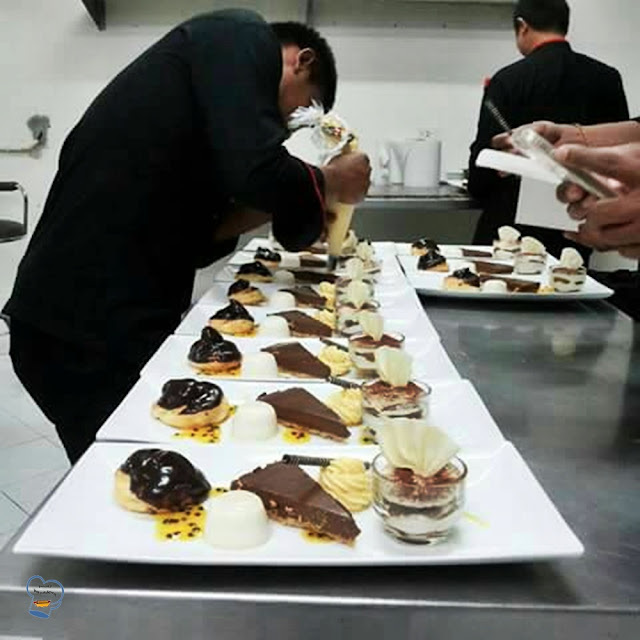 For someone who works alone, making all these desserts (except for profiterole) was a huge undertaking. No, it was not complicated. The process needed careful planning and organization because it was during peak season when the wedding was held.. We had almost full occupancy. The demands were high. I had to juggle my daily workload, extra tasks and making these treats. Sorry but these photos are all I have. I didn't even get the chance to see how the kitchen staff plated the desserts. I went home way before the wedding started. Thanks to my colleague. She was thoughtful enough to send me the pictures she snapped.